Together my boys managed to read or listen to over 15 books this month! I'm pretty proud of that. 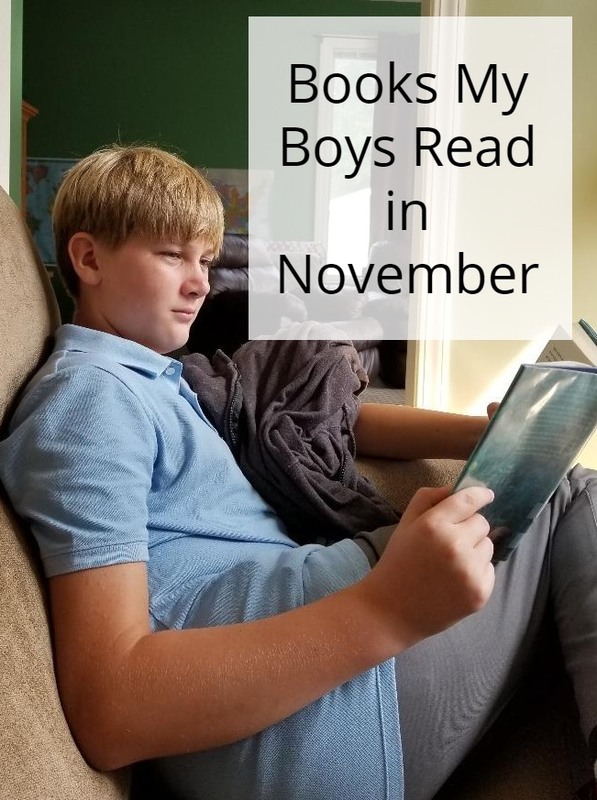 While Alec has always been a voracious reader, it is only recently that I have found both Evan and Ian enjoying what they are reading. They have all found series that they enjoy reading and that just warms my heart. Harry Potter and the Prisoner of Azkaban-- At the beginning of the month Evan and I were taking turns reading pages and managed to get a good half-way through the book before he set it aside to read some other books on his own. In this 3rd Harry Potter book Sirous Black is on the loose and it looks like he might be after Harry. Thank goodness his new defense against the dark arts teacher is so good at teaching the kids defensive spells. The Bronze Key-- Alec really enjoyed book #3 in the Magisterium series and read through it in record time. Callum, Tamara, and Aaron are being treated as heroes after the demise of their enemy but when a fellow student is murdered it seems there is a spy in the Magisterium and no one is safe. Pacific Vortex-- I challenged Ian to give this adult novel a chance this month and he really seems to have enjoyed it; so much so that he's already asking what the next book in the Dirk Pitt novel is! In this very first Dirk Pitt novel Dirk is plunging into the Pacific Vortex, a fog shrouded area where lots of ships go missing. 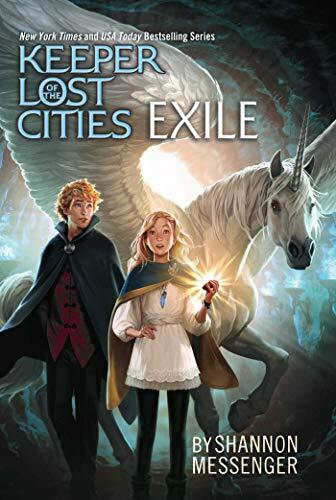 Keeper of the Lost Cities; Exile-- In this second book of the series Sophie is tasked with training an Alicorn, a rare female of the species that trusts no one else but Sophie. Wings of Fire Book 3: The Hidden Kingdom-- Alec is still working on re-reading all the books in this favorite series of his. He really likes that Evan is starting to read it as well so they can talk about it together. Wings of Fire Book 2: The Lost Heir-- Evan fell in love with the graphic novel of the first book and decided to try reading the second book in it's entirety since the second graphic novel wont be coming out until after the new year. He is LOVING this series! Pippi Longstocking-- The younger boys and I read this book together as a read aloud at lunch and while they did laugh at a few of Pippi's antics, they really didn't like the story much. Alec found it completely unreasonable since there are aspects that remind him of tall tales (which he hates!) and Evan kept complaining that chapters just ended and didn't tie into one another. Gregor and the Code of Claw-- We listened to the 5th and final book in the series while driving around in the car. In this book the underland is at war and Gregor and his friends and family must work together to decipher the code that just may help turn the tides of war in their favor. The Unwanteds-- Alec read this book a few years ago and never got around to reading any others in the series. He decided to request the book on CD from our library and listen to the whole series in his room while he colors or crafts. Alex expects to die when, in his 13th year, he's labeled as unwanted. Each year all the 13 year olds are labeled as wanteds (who get more schooling and training), necessary (who are used in farming) and unwanteds (who are eliminated). Then Alex learns that the Unwanteds are really sent to a magical place where they can use their imaginations, creativity, and even magic. The Silver Mask-- in the 4th book of the Magisterium series Callum has been imprisoned for being a living host to a powerful magician that found a way to preserve himself inside Callum. Everyone wants to know the dark magician's secrets but Callum has no idea. Seven Wonders; Tomb of Shadows-- book 3 of the series Jack and his friends are on their way to recover the third Loculi when they find out they've been betrayed. They don't know who to trust or where to turn but they must keep searching. Magic and Other Misdemeanors-- in the 5th book of the Sister's Grimm series Sabrina and Daphne investigate a steak of magical thefts. The Emperor's Riddle-- Mia Chen is having a grand adventure on her summer trip to China when her Aunt Lin disappears. Mia finds an old map with some riddles in Aunt Lin's room and decides to solve the riddles in hopes of finding her missing aunt. Hatching Magic-- Gideon lives in a 13th century castle in England and finds himself suddenly transported to modern day Boston (2002) when he follows his pet wyvern through a magical hole in time. Theodora is bored alone in the hot city of Boston when Gideon crosses her path and suddenly her summer is about to get interesting. 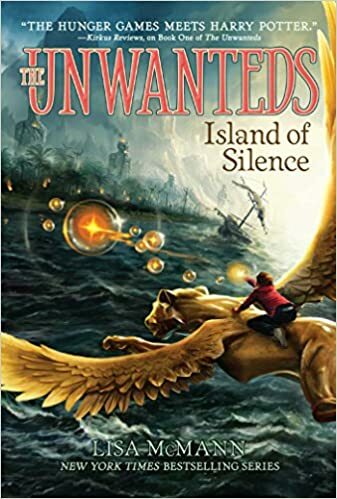 Unwanteds: Island of Silents-- Book #2 in the series finds that now everyone can choose between living in Quill or the magical world of Artime but not all enjoy the peace or the right to choose. Alex's twin Aaron is planning his revenge and his return to power bringing sibling rivalry to a whole new level. 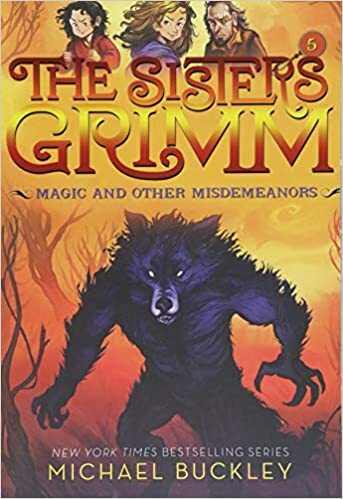 Tales from the Hood-- Book #6 in the Sister's Grimm series finds Sabrina and Daphne trying to find evidence to save their friend the Big Bad Wolf from going to jail... even if he may end up being safer there. Turkey Bowl-- We read this cute picture together about a family tradition of playing football every Thanksgiving. Thanksgiving in the Woods- Another picture book we all read together about a family in upstate New York that invites more than 200 people to enjoy a Thanksgiving feast with them outdoors in the woods complete with tarps, bonfires, hay bales, and more. I love that they read so much! Too bad they didn't enjoy Pippi Longstocking! It was rather funny that they both kept pointing out that the story broke every rule their writing book told them not to do. Pippi Longstocking bombed with my kiddos too! I have such fond memories of reading it when I was their age, but rereading it to them as an adult I didn't enjoy it nearly as much. It didn't break my heart when they didn't want to keep going past the first few chapters. 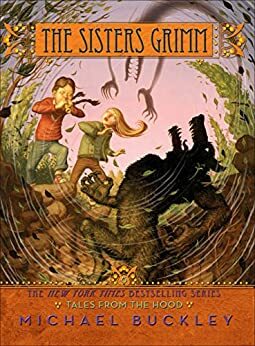 I had never read it but our librarian recommended it saying it was one of her favorites from childhood... my boys began questioning what other choices she had. I can't say I enjoyed the story either. Oh yes, please do! I am always on the lookout for new books.